supports selected charitable non-profit organizations like Naomi Campbell's Fashion For Relief and you can do so too by including our -widget on your website. 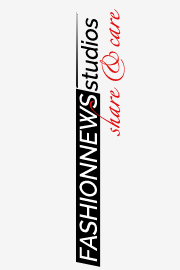 Thus you keep your visitors up-to-date with live fashion-, style- & beauty-news from the world's most renowned influencers and at the same time help to spread the word about our charity partners valuable work . The space needed is 300px x 740px. The widget will alternately showcase the latest articles from our featured bloggers about the most newsworthy topic of the moment (Editors' Choice) and campaigns from our supported charity partners. If you prefer to present your visitors another topic than our editors' choice, just select it from the list below and make sure to use the changed code on your site. The original size is 340px x 70px. For smaller sizes adjust the width-value in the code, for larger sizes contact us. If you have any questions about the -network, about or about how to add the widget to your site, please contact us. Thank you for your interest - we'd be glad if you #ShareAndCare!